Coins and history go together like shoes and socks with dates and details adding color and texture. 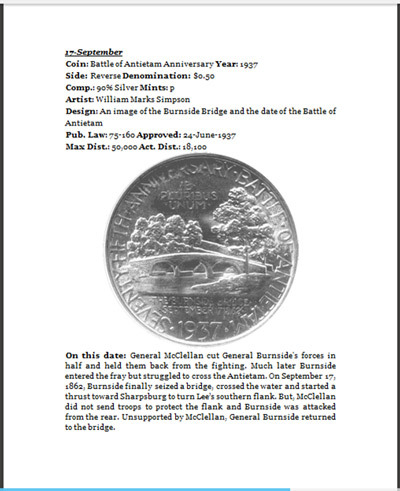 Days of Our Coins Volume I includes 366 images, one for each day of the year, with an historical anecdote relating to the specific coin and date. These pages give a sneak peak into the book's content. 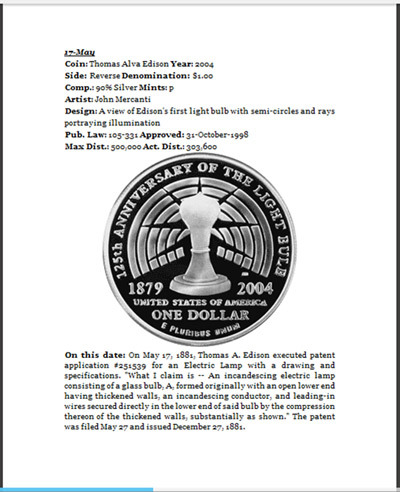 The other 363 pages provide unique images and historical anecdotes for over 200 distinctly different coins using obverse (heads) and reverse (tails) images. 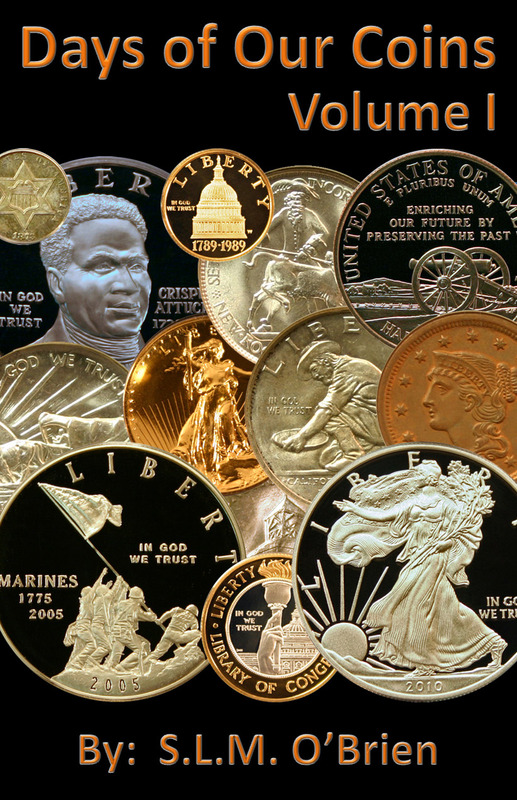 The US Mint through the years has produced a wide variety of coins with each providing an interesting and intriguing design on both the obverse and reverse of the coin. 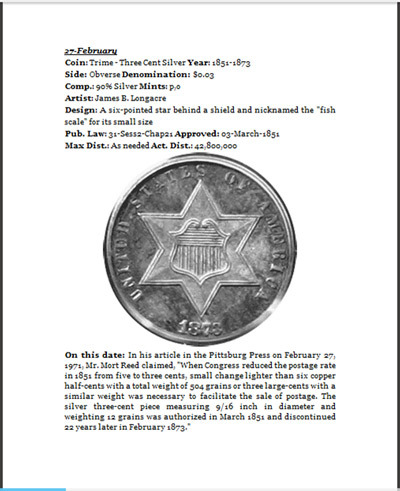 Days of Our Coins Volume I presents the coins with a bit of history to add more fascination to the already attractive small and round collectible coins. You can find our book, Days of Our Coins Volume I, on the Amazon Kindle platform. Don't worry if you don't have a Kindle device. Amazon provides free Kindle Readers for a variety of hardware including tablets, computers and smart phones. As a teaser, here are a few pages. These are screen captures to show the actual page from a Kindle Reader, PC platform.